Summary: The Rio 2016 Olympic Games we have expected for four years are finally here. Different from the traditional celebration, there is an innovative way to support your Olympic heroes by making and sharing amazing inspirational greeting cards in social media. You can even design your own party invitations with AmoLink to invite family or friends to enjoy the Olympics together. Everyone has his or her own Olympic champion in mind, and so do I. Aly Raisman, one of my favorite athletes, is a charming girl with artistic gymnastics talents. During the 2012 summer Olympics in London, I was conquered by her wonderful performance in the floor exercise as well as her enthusiasm and persistence for gymnastics. Thus she fully deserves the title of Olympic hero in my heart. This is her second Olympics, and clearly she spent most of her life preparing for Games. Hope all her efforts can be paid off and wish her good luck in this competition! So who is your Olympic hero? Who inspires you and leaves you awestruck this time? 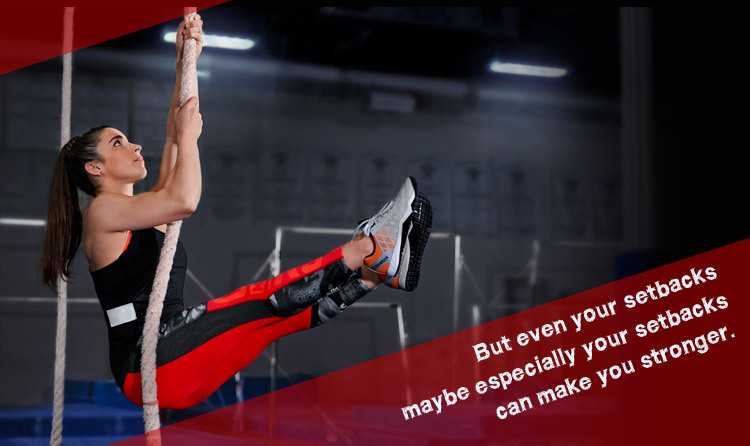 Whether you are a huge fan of Aly Raisman like me or you are expecting some other excellent athletes’ graceful performance, let them hear your loud voice of support by the heartfelt inspirational greeting cards online. You can not only root for your favorite Olympian, but also a team or even the whole nation. Since we are not the cheerleaders in the Rio Olympic venue, it’s possible for us to be the most avid cheerleaders behind the scenes. Thanks to the Internet, now we can interact with our favorite athletes on Facebook or Twitter and cheer on them timely. If simple encouraging words or clicking the “like” button is not enough to show your support, an online inspirational greeting card may be the best choice. You can download the pictures or videos that capturing those great moments of your Olympic heroes and upload them to the AmoLink free online greeting card maker where abundant Olympic cards samples are available. You can find various exquisite card layouts and templates for different sports and different Olympians. Edit your warm encouraging words like “You’re the best” or congratulations like “Well done tonight” in the text of your support cards. In case sport accidents happen to the athletes, it’s very sweet if you add your own voice or video to convey the sincere wishes like "Get well soon" or "Wait for you" to the wounded Olympic heroes. Your heartfelt get-well greetings and support may help them to go through the worst times. After finishing your inspirational cards, don’t forget to share them with other fans and the athletes you favor via social media. As the Olympic Games are global events, the more people join in, the stronger the inspirational strength is. So let’s share our Olympic inspirational cards and cheer on the Olympic heroes. Besides what you can do for cheer or comfort, there must be something you learn from these excellent athletes. How did they get to be so great? It certainly wasn’t by throwing the towel whenever they failed. Just the opposite, they tried and tried and tried until they achieved their highest goals. So do you ever think of sharing their Olympic spirit with the sports fans all over the world while sharing your inspirational greeting cards? 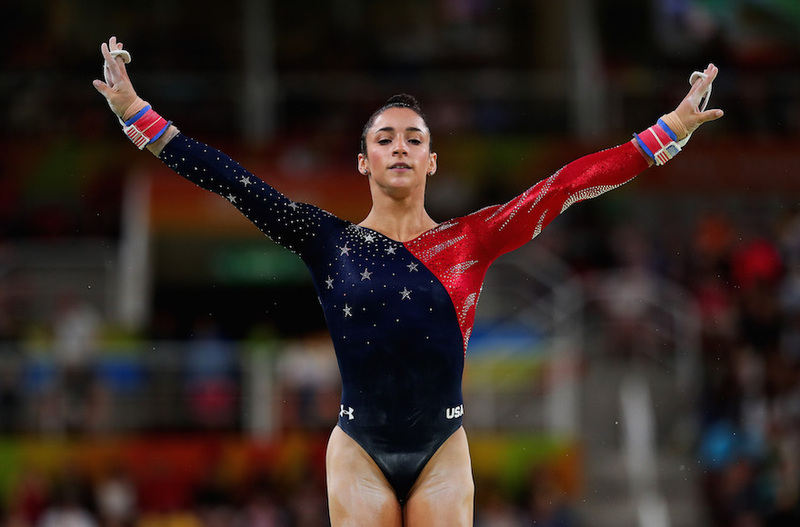 As to me, I admire Raisman’s persistence for artistic gymnastics as well as her team spirit. As the eldest one in the team, Raisman like a good sister and always puts the U.S. team first. So it’s better to add her inspirational quotes into the support cards which will encourage both the athlete herself and the fans. To follow the Olympic spirit, it’s meaningful for us to convey our Olympic heroes’ positive energy to more people by sending the inspirational cards online with their inspirational quotes. As Rio 2016 Olympic fever sets in across the globe, what’s your plan to celebrate such an exciting sporting event? Fly to the bustling city Rio to watch live games? 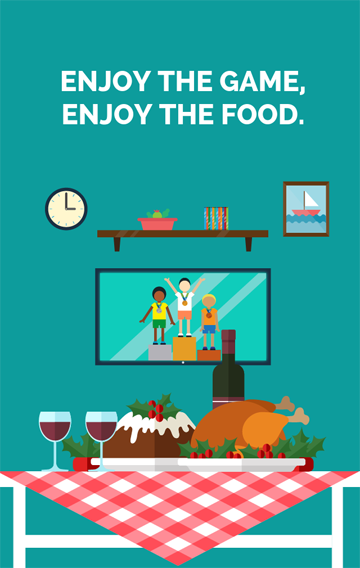 Or watch them on the sofa with beer or food? No matter how you celebrate it, don’t be alone. Let your celebration be more interactive and interesting with AmoLink. It’s so boring if only you make whoopee or pig out on chips or cookies in an empty room. Since Brazil is famous for its carnival, setting a carnival style Olympic themed party off is absolutely a great idea. You can organize your own Brazilian ”festa” at home, prepare some good wine and delicious food, watch the games and enjoy the party with your family or a group of friends. As party mentioned, how can we invite guests without the attractive Olympics-themed party invitations? The paper party invitations can be very troublesome to make and share. Not to mention, they are not environment-friendly. Compared to the paper one, an online party invitation costs less time and less money, which allows you to spend most of the time preparing for a stunning Olympic themed party. It’s nice to make such an invitation in just few minutes with AmoLink, a free online party invitation maker that provides a variety of fashionable and creative party invitation templates. Just choose the one you like, edit texts, add voice, video or dynamic effects, then an attractive Olympics-themed party invitation is finished. If you want the party to be more Brazilian, add music like samba or pictures of the carnival to your online party invitations. It is very convenient for you to share them on Facebook or Twitter to inform your guests of the party. But pay attention to the time in which you send these party invitations. Sending the invitations a week before the occasion is suggested. Don’t be too late to send them. Take actions! Make your Olympic themed party like a carnival! This summer, let’s fuel our Olympic passion and enjoy the Games together! Start Your New Greeting Style in AmoLink What do you expect for free online greeting cards? Maybe the answer is easy-to-use but powerful. Here AmoLink online greeting card maker will never let you down. Besides, it will surprise you with many innovative features to make exquisite animated greeting cards. What’s more, share your work just with a link, recipients can browse it in mobile phone, which can bring you much benefit and excitement.